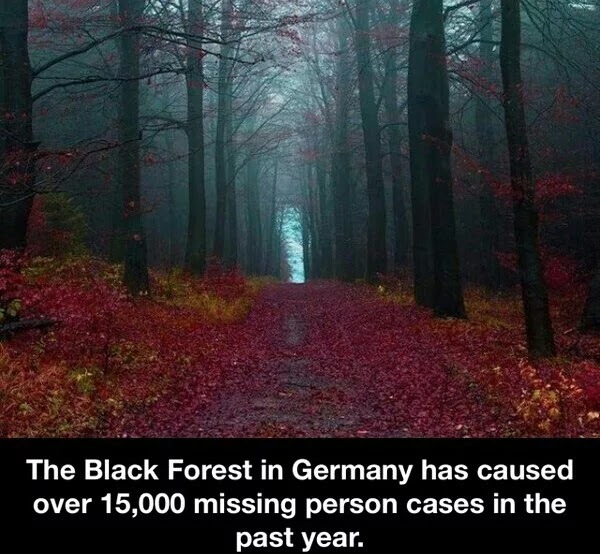 Home / europe / germany / go travel / hoax / Germany’s Black Forest Caused 15,000 Missing Person Cases Last Year – Fact Or Fiction! For some years, a photograph depicting The Black Forest of Germany (as it claims) has been frequently circulating through various internet sources and shares with the claim that "the forest has caused over 15,000 missing person cases last year." Is this a conclusive news-fact or it's just a mere hoax?? Nowadays, many even claim this forest to be extremely haunted reciting a number of spooky incidents happened there. So we did some research about the Black Forest and about this particular photograph to know whether there is really any such paranormal activities in this forest or all these stories are just made of fictional ideas. ➧Where did this meme-photo come from? The earliest posting of the meme we found was from August 2014, on CreepyPasta Facebook page that specializes in spooky short stories. The page describes itself as “a series of fictional and non-fictional stories that are posted on the Internet and are designed to unnerve and shock the reader.” So if this meme-fact is based on a fictional story in reality then we should not be too much surprised. But it must be admitted that they have provided a very well deserved work from their aspect. ➧What is about the image in this meme? The image is showing a forest – it's alright, but is this the storied Black Forest of Germany? The fact is that this photograph shows the Hamelin's forest that is located in the centre of Germany. 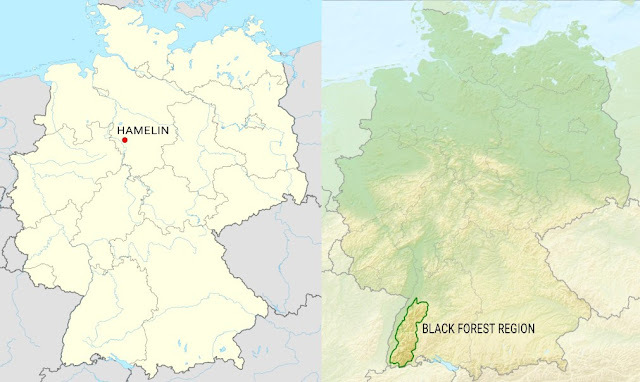 But The Black Forest or Schwarzwald is in southwestern Germany. Furthermore, this particular photograph was actually taken by Jonathan Manshack, and later National Geographic chose it as the Photo of the Day on 11 June 2011. ➧What does the History of Germany's Black Forest say? In ancient times, The Black Forest was known as Abnoba mons, after the Celtic deity, Abnoba. This region has been known to be a pleasant place since the ancient times. Therefore, today's main industry of The Black Forest is tourism, and obviously, there’s no basis for the claim that 15,000 people went missing in the previous years — or any other year from the ancient time — in the Black Forest. Furthermore, any authority from Germany’s Initiative on Missing Children did not mention the forest as a concerned area, nor The European Child Rescue Alert and Police Network on Missing Children did. On the other hand, according to the 2015 official data, Federal police in German were currently looking for 9,780 missing people within the whole country. So that, 15,000 is such an astronomically high number that proves the meme to be clearly inaccurate. Apart from these, neither the mainstream news-media sources nor any social development source covered the missing news during any period of these last few years. In the end, our conclusion is that the incident said in this meme is just a fictional story. Or to say, it's a sensational fake news about the Black Forest. However, as we said earlier, The Balck Forest is truly a beautiful region for visiting in Germany. 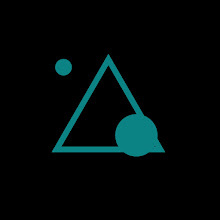 Though the name "Black Forest" seems to be mysterious to hear, the forest gets its name from the oppressive canopy of evergreens looming above the forest floor. This region is home to elaborate cuckoo clocks, striking half-timbered houses, ruined castles and quaint towns, that makes it a magical land that is full of cultural traditions. To know more about all the tourist spots within this Black Forest area, go through here. A gentle reminder for those who just love to explore the paranormal world, The Black Forest would indeed be a worthy destination to them. Many claim to have encountered a number of ghostly things in this forest. They tell about the creepy sightings of a headless horseman riding on a great white steed, a king who kidnaps women to take them to his underwater lair where he lives among the nymphs, friendly dwarves and lurking werewolves. Being an international tourist attraction, The Black Forest is easily accessible by all modes of transport from the other major cities and towns in Germany. Hence, you could simply go to the region of the forest from anywhere. In addition, to get more information about the transport system making your travel more easy you can go through here.